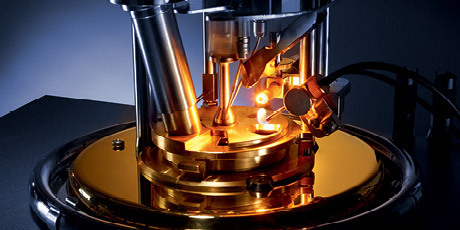 At which temperatures will your sample burn, ignite, or cause fire? How are your flammable liquids composed, and what are their properties? Volatility is directly related to a substance‘s flash point temperature (flammability). 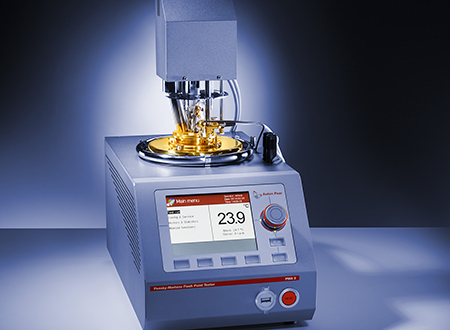 Anton Paar’s flash point testing equipment safely and easily determines the values you require for the processing, storage, transportation, and classification of dangerous liquids. 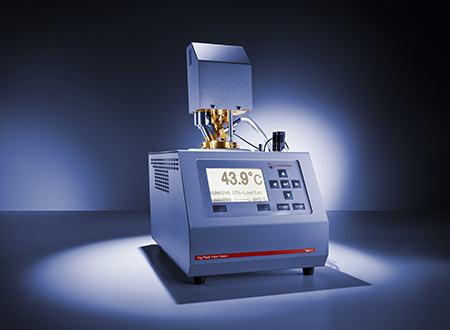 The following methods will provide you with the information you need about the temperature at which a sample will ignite or burn. 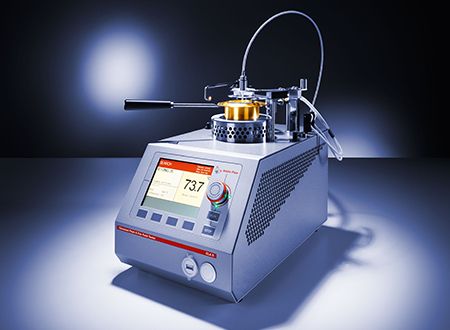 Whether you are interested in the flash point of biodiesel and biodiesel-blended fuels, diesel, heating oil, kerosene, lubricants, bituminous materials, solvents, chemicals, or other potentially flammable liquids, Anton Paar has the most suitable flash point measuring equipment for you. 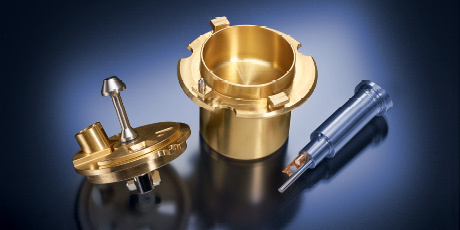 This includes closed-cup, open-cup, standardized, and small-volume cup testers with cups made of brass or stainless steel. Count on it: Your application is covered. Our instruments feature two ignition systems: both a gas flame as well as an electrical igniter are included. 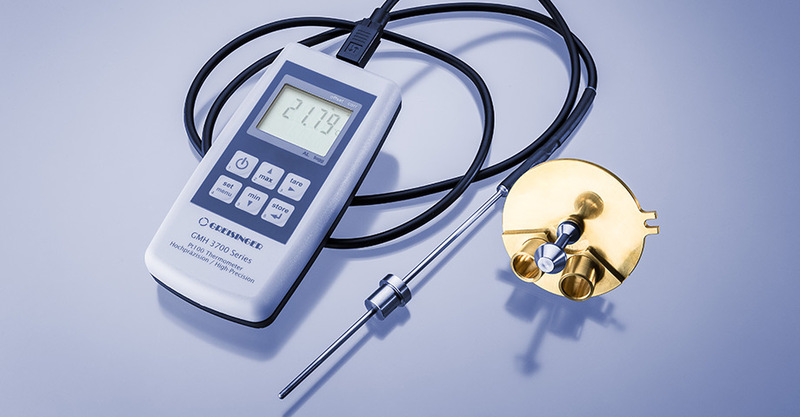 When testing with gas ignition the electrical igniter will automatically light up the gas igniter flame and relight it if blown off during the test. Also, with the electrical ignition only, many instruments can be used without a gas supply. Never miss a flash point! 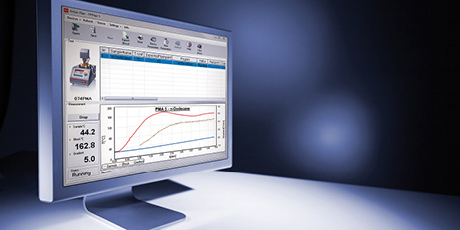 The easy-to-use FPPNet software allows you to monitor the testing progress of your automatic flash point testers in real time on your PC screen. 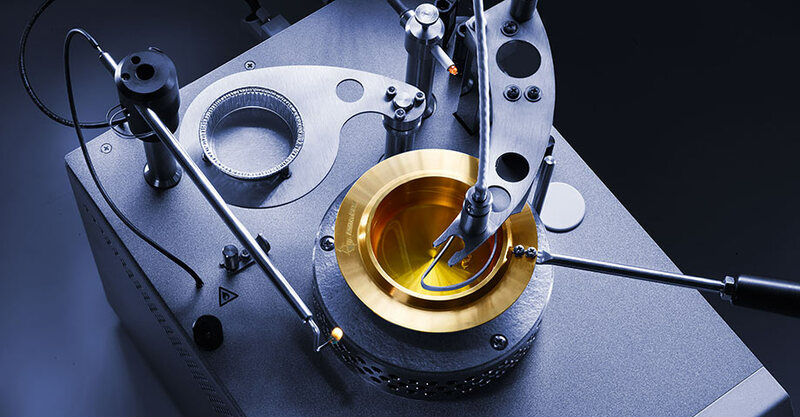 You can read and evaluate test data, remotely control, and program the instruments you have connected. 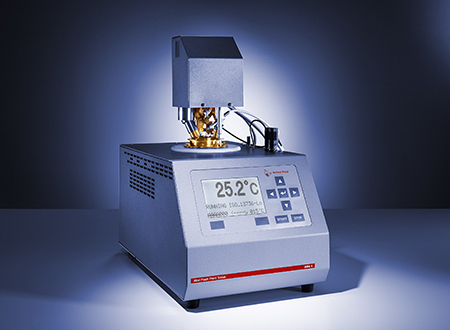 The calibration set is an optional accessory for all flash point tester calibration programs. 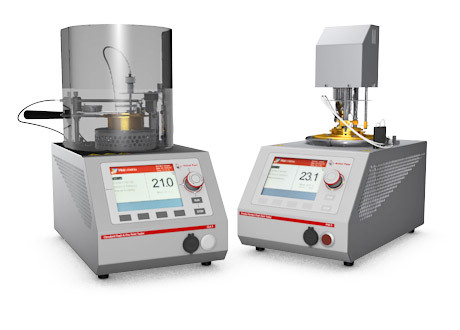 It is used to calibrate the sample temperature sensor Pt100 of the flash point tester dynamically against a certified digital thermometer. 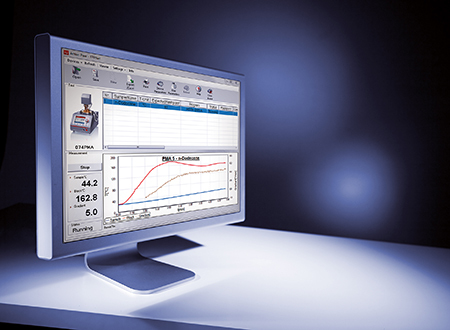 The on-site calibration feature is very cost-effective and available at any time.